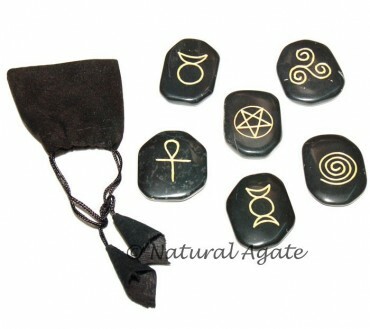 Wiccan Set is a collection of 6 black stones with symbol and a black pouch. The stones are used in magical rituals in order to draw healing energies. The set can be availed from Natural Agate.